Ooh, yeah! All right! We’re jammin’, I wanna jam it with you, and I hope you like jammin’, too. After my long flight from India, this Bob Marley song playing in a taxi was first music I heard upon my arrival in New Orleans in July 2015. 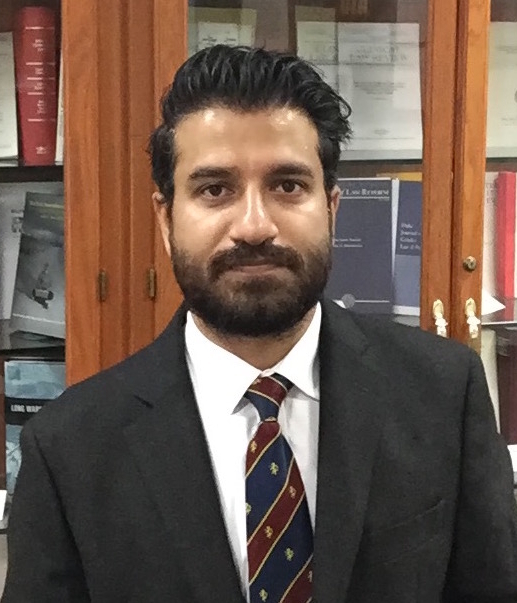 Divesh Kaul (LLM ’16) now is studying for a Tulane Law SJD. ‘Cos every day we pay the price with a little sacrifice, jammin’ till the jam is through. Exodus! movement of Jah people … we’re leaving Babylon … are you satisfied with the life you’re living? we know where we’re going, we know where we’re from. An apartment shared among four Tulane students from four different nationalities was no less than a culinary delight. The sharing was not limited to numerous collective meals. The Bolivian housemate became a fan of Bollywood films. My Chinese and Bangladeshi housemates enjoyed free haircuts given by me. Our umpteen household discussions ranged from cultural stereotypes to funny anecdotes, from theology to national issues and from quotidian matters to interdisciplinary discourses. Also, Zhang Chao issued us a travel advisory for his country when we learnt that wearing a green hat in China meant one’s wife was unfaithful! 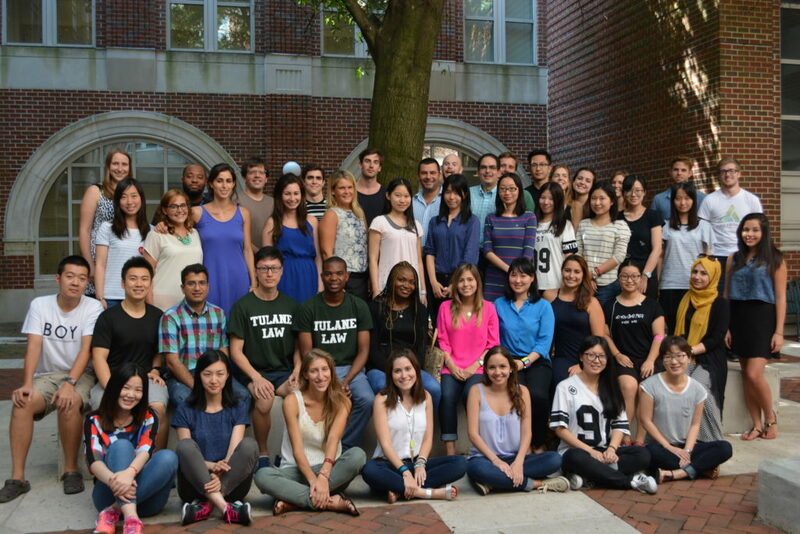 Tulane Law LLM and international students for 2015-16 gather in the courtyard. I reached Tulane a month before the fall semester began, but as international students we already were busy. The orientation was intensive, but daily interactions with the LLM and exchange students from 39 different nationalities and the blossoming of numerous friendships made it the most enjoyable period. For every international student in our LLM batch, studying in an American law school was a new venture. Some had left their countries for the first time. Some never wrote an exam on computer before. Others came from a non-common law background. Every man gotta right to decide his own destiny … so arms in arms, with arms we will fight this little struggle ’cause that’s the only way we can overcome our little trouble. 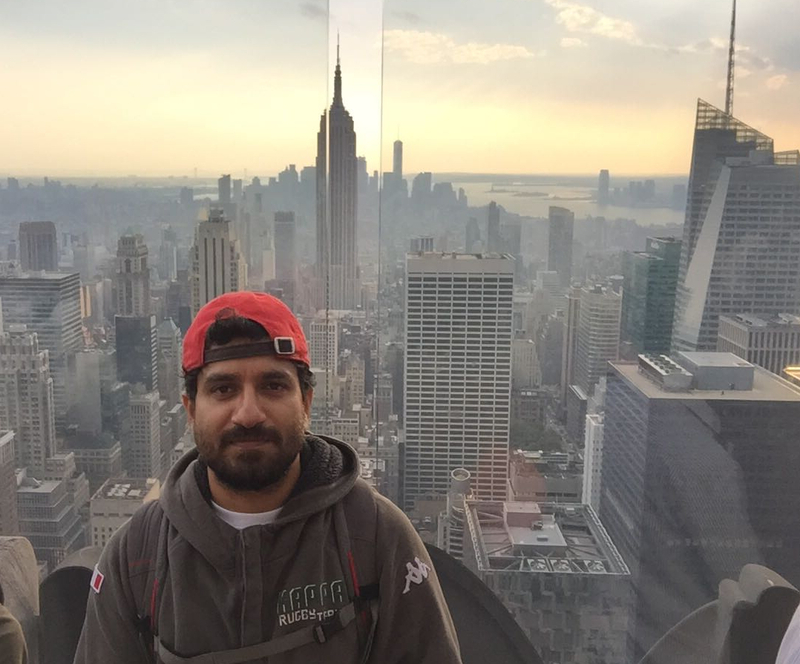 Kaul traveled to New York City among other locations during his first year in New Orleans. The welcome lunch offered by Dean David Meyer and his wife, Professor Amy Gajda, at their residence was a great celebration of our new beginnings. I also fondly cherish Professor Herb Larson and his wife, Julianne, greeting and treating us a couple of times at their Edwardian house equipped with a magnificent piano and a large antique mahogany dining table. The fall and spring sessions progressed at full steam, with LLM and JD students shoulder to shoulder marching across the corridors, rushing from one class to another, sneaking in to symposia and seminars, reading endless black legal letters in the library and making outlines, conversing in the student lounge filled with the aroma of dark roast coffee and working for law reviews. 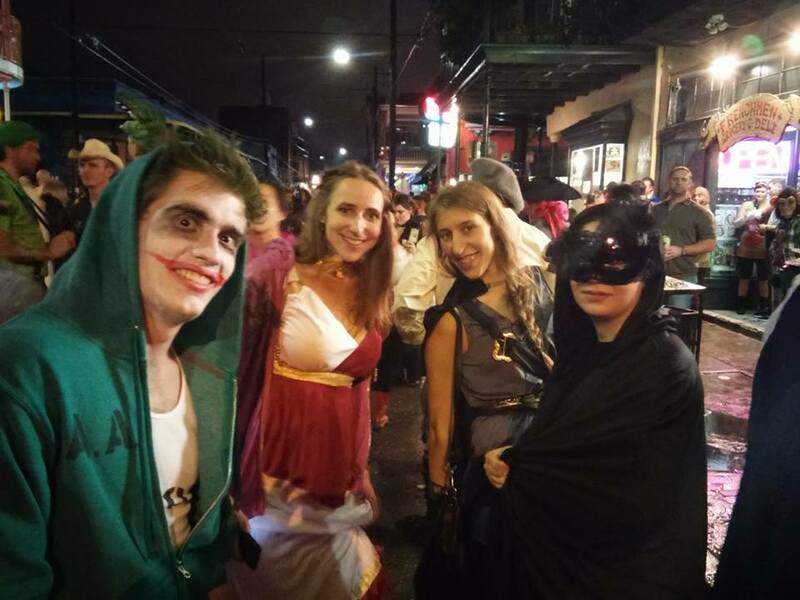 Tulane Law LLMs got in the New Orleans spirit for Halloween. You’re gonna lively up yourself and don’t be no drag, you lively up yourself and don’t say no … you rock so like you never did before … be alive today! While we progressed in our graduate study in law, Tulane and New Orleans suitably embraced us with open arms and let us live like never before. I learnt a lot about America’s evolution through various civil and political struggles and how law contributed in them. The 14th Amendment and cases such as Brown v. Board of Education and Obergefell v. Hodges have been some of the legal landmarks instrumental in America’s shaping. During a day tour to the Whitney Plantation Museum of Slavery, our tour guide quoted Marcus Garvey: “the man who is not able to develop and use his mind is bound to be the slave of the other man who uses his mind.” Prejudice and suppression have prevailed in all nations and among all races, and slavery exists even today in many forms, the guide observed. Emancipate yourself from mental slavery, none but ourselves can free our minds … won’t you help to sing, these songs of freedom. Humanity, nonetheless, has come a long way ahead from the “separate but equal” doctrine, segregation laws and colonialism. I have also learned that music has been one of the tools of liberation from suffering and poverty. In Kingston, Bob Marley found it through reggae. In New Orleans, Louis Armstrong found it through jazz. 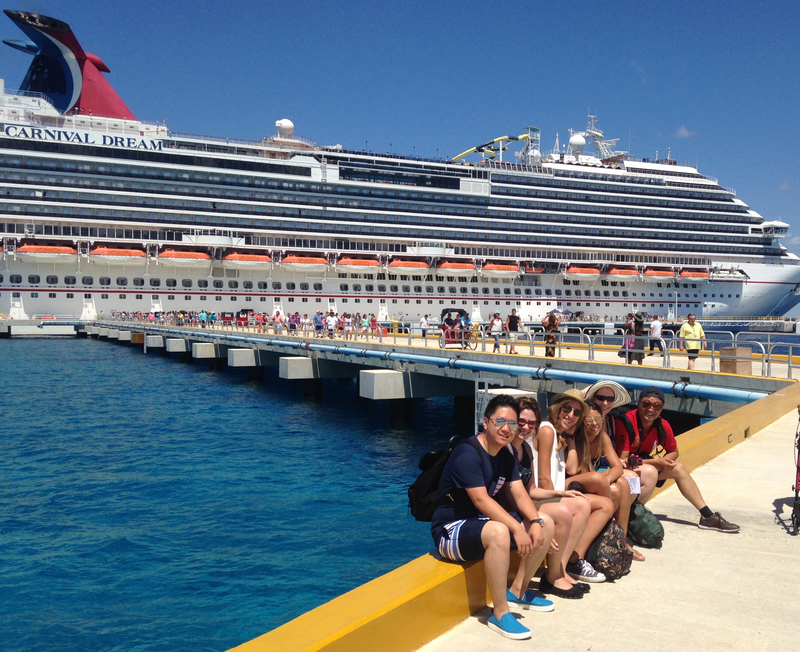 Kaul and friends celebrated the conclusion of their LLM year with a cruise. No doubt my learnings at Tulane were more than academic. I discerned a portrayal of various national characters from my LLM batch-mates such as Italian enthusiasm, German compassion, Greek resilience, Irish wittiness, Chinese humility, Bolivian wisdom, Turkish generosity, Panamanian boldness, Nigerian calmness, Zimbabwean contentedness, Venezuelan perseverance, Albanian forthrightness and American openness. I must admit that I learnt the correct way to practice meditation through the ancient Indian tradition of Yoga only after attending Professor Keith Werhan’s “mindful lawyering” sessions. I realized that sometimes one needed an outsider’s perspective to understand the pros and cons of one’s national system and appreciate it better. Just before my spring exams commenced, I also came to know that Bob Marley’s grandson, Nico Marley, who is a business student and football player at Tulane. Me only have one ambition, y’know. I only have one thing I really like to see happen. I like to see mankind live together – black, white, Chinese, everyone – that’s all. 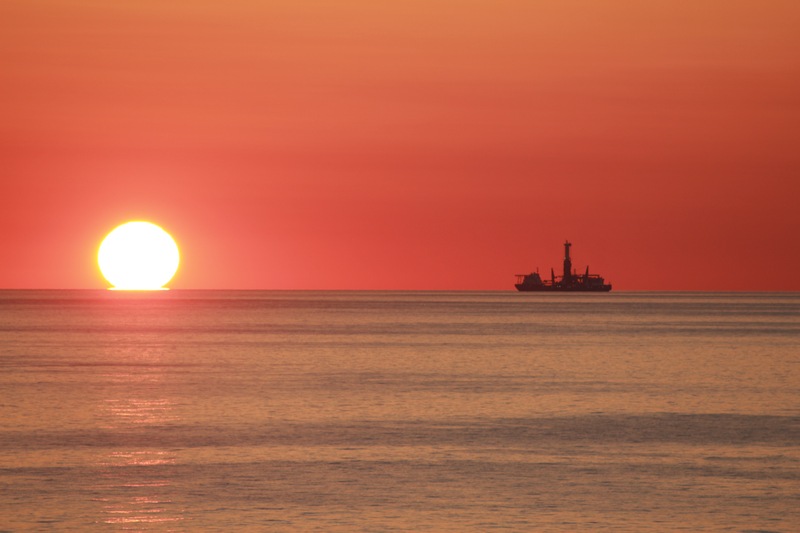 A gulf sunset near Cuba. Tulane truly has been a global village where our academic upbringing ensued with members of global community instilling in us precious values from all over the world. 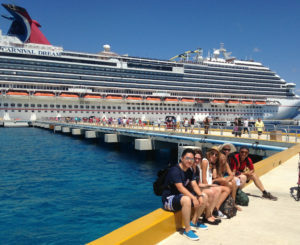 After spring exams, my LLM journey culminated with a seven-day cruise with my six batch-mates from New Orleans to the Caribbean, covering Mexico, the Cayman Islands and Jamaica. This entry was posted in Admissions, Alumni, Classroom learning, Energy law, Environmental law, International law, Law professors, LLM, Maritime law, New Orleans, Skills training, Student life on December 19, 2016 by tlslagniappe. It’s no secret that Tulane Law’s environmental and energy track, as one of the school’s largest J.D. certificate programs, offers a robust array of academic opportunities. But it’s also an area that propels students outside the classroom and into the field, connecting with environmental and energy industry attorneys and professionals. Through Tulane Law’s new ongoing partnership with Valero Energy Corporation and the law school’s award-winning Summit on Environmental Law and Policy, students get in-depth looks into key energy and environmental law issues – and into the overlap between these two powerful fields. Andre Marquette, environmental engineering manager at Valero’s St. Charles refinery, explains how the crude unit works before students step inside. 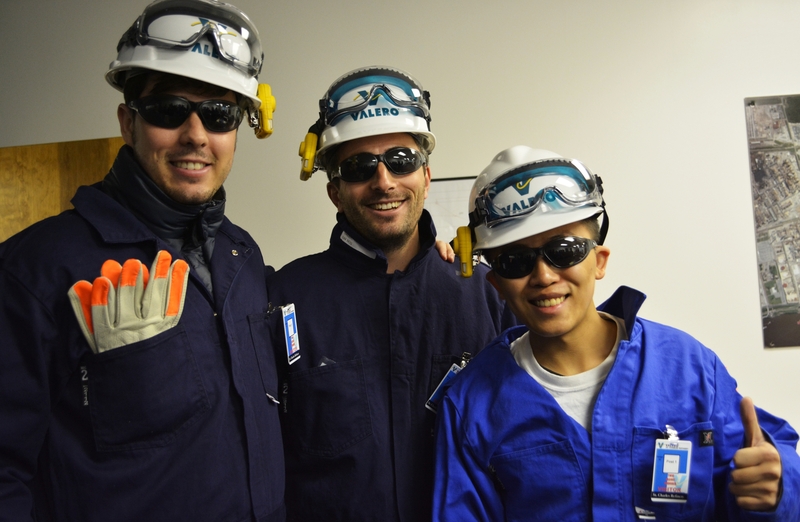 At the forefront of Tulane’s expanding energy law program, Valero hosts Tulane Law students each semester for a day exploring refinery operations at the company’s Norco, Louisiana facility and learning about the role of legal counsel in a large, complex corporation. 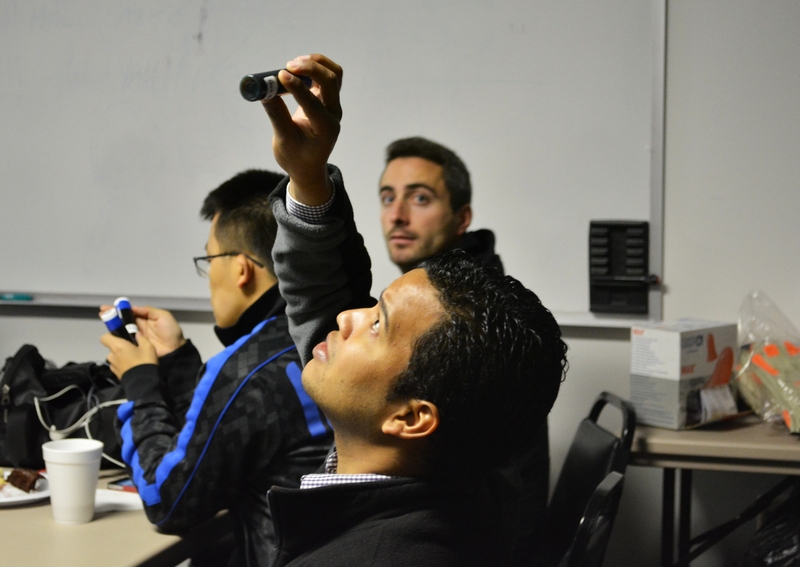 Wanadi Molina Cardozo (LLM ’15) examines byproducts from the oil refining process. Students begin the day with an introduction to the company’s refining processes and safety precautions, then are outfitted in fire-retardant suits, hard hats, safety goggles and air monitors before surveying the refinery with a team of engineers. They see key components of the facility’s daily operations, touring the control room, crude oil processing unit, molten sulfur recovery furnace (described by the engineers as “real fire and brimstone”) and bubbling vats of waste water being treated. 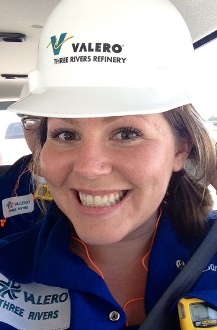 “Before attending the field trip to the Valero refinery, I was really interested in seeing how things worked on the ground at a refinery,” said Katherine Van Marter (L/MS ‘16), a Tulane Law and Payson Center student. 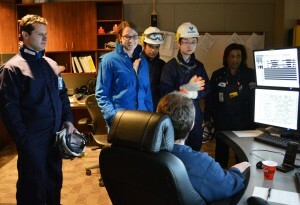 Students learn about the different refinery processes the control room operators oversee. The tour gives students a look into the refinery’s science and business processes so they can better understand its legal needs. 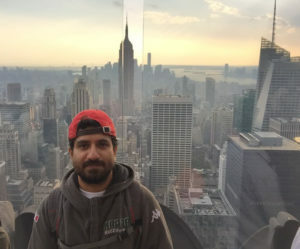 “The trip to the St. Charles Valero refinery was altogether a great experience that both introduced me to the oil refinery industry and provided me with a unique insight into the daily legal activities of a Fortune 500 company,” Albert Farr (L ’15) said. After the tour, students meet with Valero’s in-house counsel, flown in from corporate headquarters in San Antonio, and outside counsel from New Orleans. The attorneys explain their efforts ensuring compliance with a complex host of regulations, including environmental, health and safety and even homeland security rules. The attorneys also discuss the overlap of legal and social issues at Valero, highlighting the importance of fostering partnerships with each facility’s surrounding community. And they take on tough questions from students, addressing environmental and international issues confronting the oil and gas industry. Enrique Rubio, Nathan Sarkas and Dennis Zhao (all LLM ’15) get outfitted in Valero’s safety gear. Students said the discussion with corporate counsel shed light on the company’s policies and the attorneys’ roles in advising their client. from within’ very attractive!” Van Marter said. Maria Kalousi-Tatum (L ’16) and Amelia Carder (L ’17) run the summit’s registration table, checking in attorneys, academics and representatives from government, industry and nonprofits. Back at Weinmann Hall, environmental law remains a powerful draw for Tulane Law students. 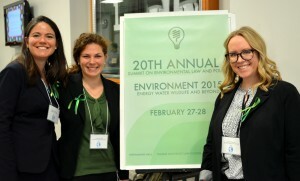 Environmental students lead the annual Summit on Environmental Law and Policy, a two-day event covering a host of environmental and energy law issues. 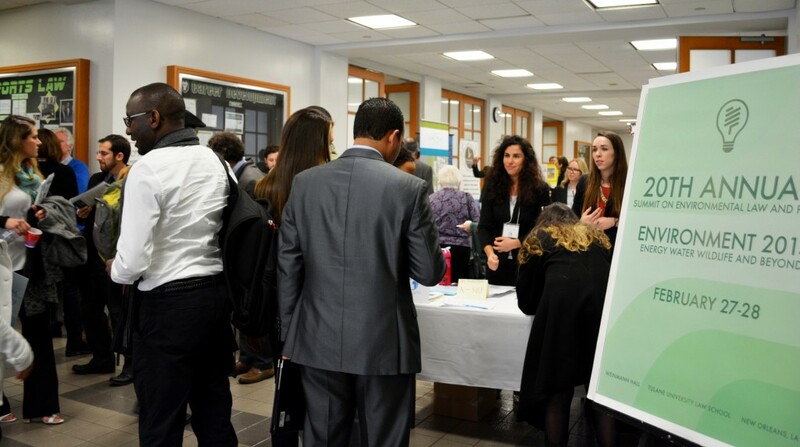 Voted the 2013 Student Program of the Year by the ABA’s Section of Environment, Energy, and Resources, the summit attracts key figures from the environmental arena each year – and it’s orchestrated by a team of more than 50 students. 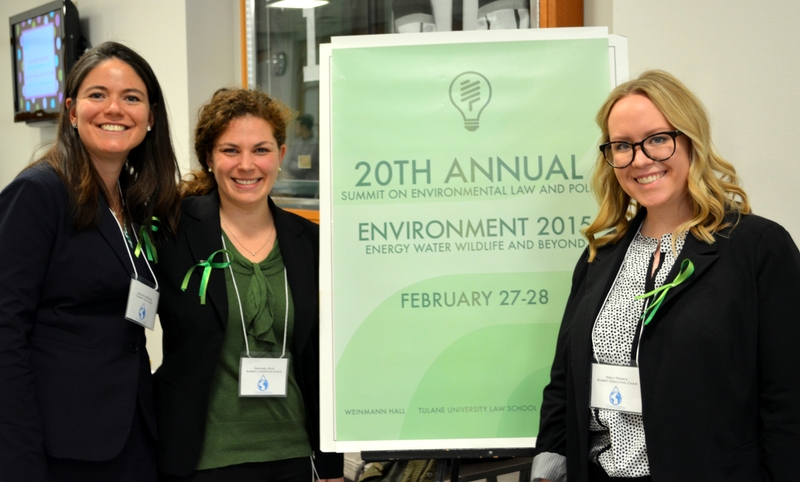 CLE Chair Amanda Serfess, Logistics Chair Rachael Waxler Ruiz and Executive Summit Chair Emily Prince (all L ’16) helped organize the 20th Annual Summit on Environmental Law and Policy. “There’s nothing else at Tulane Law with this degree of student programming,” said Emily Prince (L ’16), executive summit chair. Students create the summit from the ground up, conceptualizing program topics, finding environmental leaders to participate in lectures and panels, creating a budget and raising funds, planning social media outreach and overseeing the details of each day. This year’s summit covered “Energy, Water, Wildlife and Beyond,” exploring the intersections between environmental, energy and water law. The program featured a record-breaking 23 panels on issues affecting local, regional and global communities, including climate change, fracking, endangered species and the contentious New Orleans levee board litigation. 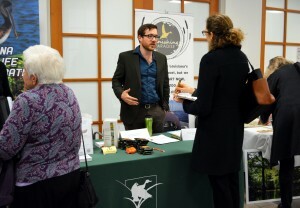 Organizations like the Louisiana Wildlife Federation set up booths to discuss their causes with summit attendees. The 2015 summit organizers connected with key figures in these arenas, securing keynote speakers Gen. Russel Honoré, commander of the U.S. Army’s Katrina joint task force, and Pat Mulroy, a leader in the international water community. “It was surreal, getting to work with people who are such a big deal in their fields. It was scary at first . . . but I definitely learned that you shouldn’t be afraid to keep asking!” Prince said. The summit is always open to the public and this year drew more than 800 attendees, including attorneys, academics, students and representatives from industry and government. This entry was posted in Energy law, Environmental law on March 5, 2015 by tlslagniappe. How did you spend your summer? We’re highlighting six Tulane Law students who gained valuable work experience in environmental and energy, maritime, international and sports law. In our first installment, learn what students in their 3L year did on the job, how they landed these opportunities and what their post-summer plans hold. Exploring in-house oil & gas law: Gillian Saltz interned at Valero Energy Corp., a top 10 Fortune 500 company, working alongside in-house counsel at the company’s headquarters in San Antonio, Texas. Her internship exposed her to the variety of legal issues faced by energy companies. “I helped draft contracts, completed research projects for litigation, regulatory and labor and employment lawyers, and learned more about the actual business side of operating refineries,” Saltz said. Saltz also saw first-hand what it’s like to work in a major corporation. 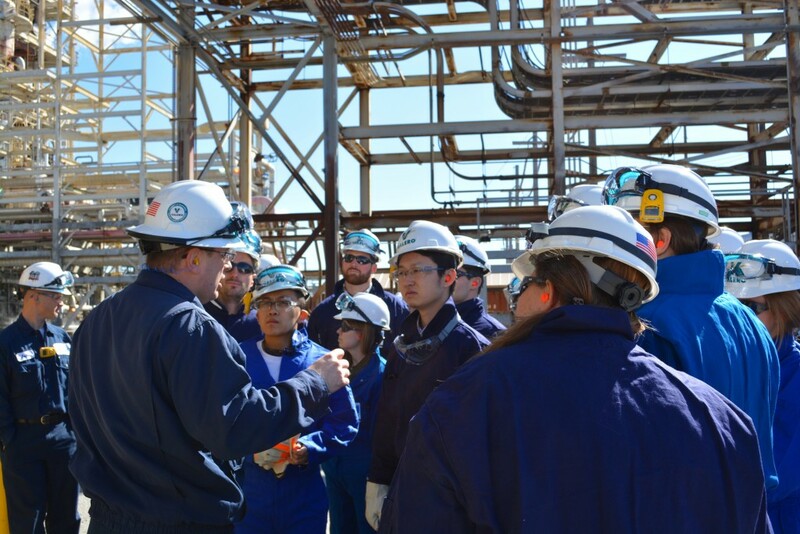 “They had a huge intern symposium for all their interns across the company, many of whom were engineer undergrads, where the CEO and many vice presidents came to talk to us about professional development, joining the workforce, and the future of Valero. It was a pretty extensive event spanning three days,” she said. After her experience at Valero, Saltz plans to specialize in oil and gas law. “There are a lot of opportunities for growth, and it is a fascinating area of law,” she said. She also hopes to return to in-house practice later in her career. At Tulane, Saltz works as a student attorney in the Civil Litigation Clinic and is senior articles editor of the Tulane Journal of International & Comparative Law. She’s a graduate of St. John’s College in Santa Fe, New Mexico. Mastering international diplomacy: Janet Kearney interned for the U.S. Consulate in Belfast, Northern Ireland, an operation with five American Foreign Service officers and 20 locally-hired staff where she was able to work closely with officials. “I was able to perform a range of tasks because the internship though the Department of State is not solely legal,” Kearney said. Her work included legal, historical and policy research and writing, plus compiling daily news summaries. “I did a little bit of everything, from filing and helping organize events to detailed research and writing projects and meetings with the consul general and government officials. The writing projects focused primarily on issues specific to Northern Ireland, like their unique shared governance institutions and the legacy of the Troubles,” she said. “I really had a wonderful time there; the work was interesting and varied, and everyone was so friendly. 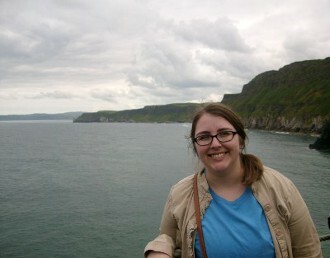 Plus Northern Ireland is one of the most beautiful places I’ve ever visited,” she said. She also explored the region, attending a charity event uniting children from Protestant and Catholic backgrounds to play sports together, traveling to the Northern Ireland coast and adventuring in Dublin. Kearney landed her job through the U.S. Department of State’s student internship program, which hires students each semester. She is senior research editor for the Tulane Journal of International & Comparative Law and former president of the Law Women’s Association. Before law school, she worked as a legislative aide for Jefferson Parish while earning her B.A. at LSU. Jonathan Jordan interned with the Washington Wizards, handling the NBA draft preparation, execution, and aftermath. 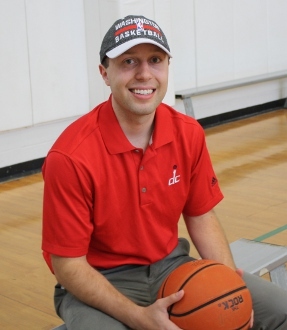 Shooting hoops with the NBA: Jonathan Jordan, a former high school basketball coach and college hoops player, interned with the Washington Wizards in Basketball Operations. He landed the position by seizing an opportunity to meet the Wizards president at an NBA All-Star Game event in New Orleans. Jordan also completed the sports law track at the Great Lakes Sports & Entertainment Law Academy during the summer. 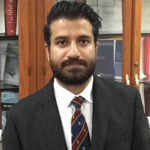 He is a member of the Sports Law Society and The Sports Lawyer’s Journal and plans to earn a Tulane sports law certificate. This entry was posted in Energy law, International law, Sports law, Student jobs on September 23, 2014 by tlslagniappe.